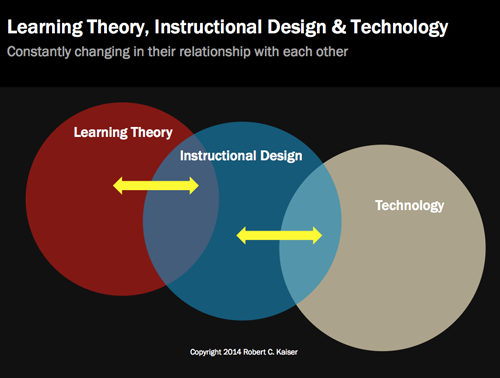 ← Research Methods, Learning Theory & Instructional Design – the trifecta! What is your personal perspective on the best manner of designing instruction for online teaching and learning? 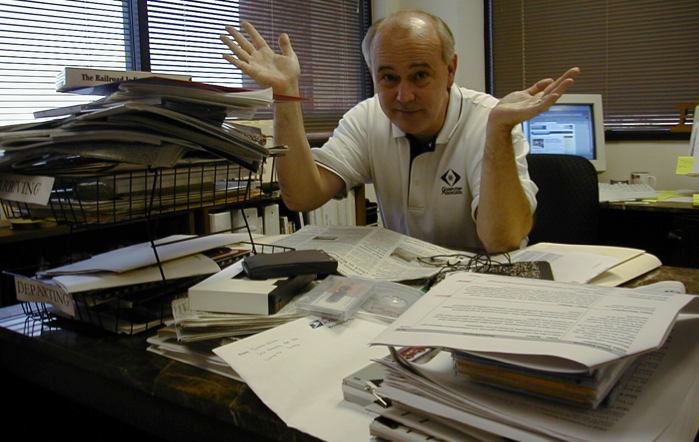 My personal perspective is based on years of creating online courses for large enterprise companies. With over 100 such courses developed and delivered online, I have been able to get valid feedback on the design process. The best manner of designing online coursework is to start with the audience and understand their foundation of knowledge so you can build on what they know. Another important design element is the delivery process, which is a function of technology. It is important that the delivery system is available and functional for all participants. Motivation is another key design element. The course must be designed to include a stimulating and interactive experience. The final component is a built in assessment and provision for giving feedback. I have written white papers for the industry entitled ” Putting Multi-media to Work”. The process involves an assessment process with the audience to find out what you are trying to accomplish and how you are going to deliver the course. Sometimes it is a blended course which has a component of didactic presentation combined with online delivery. The assessment must include the delivery mechanism. Today that would involve ann evaluation of the web environment, LMS availability and social media tools too. The design is defined with an interactive script that calls out all aspects of the course. This includes all text, media elements, The interactive script is always reviewed in advance of building the lessons by the client. This is important to have sign off, so that change orders can be authorized later based on having a previously approved design document. Does it match any existing methods? Yes, the process defined above is very close in terms of practice with the Kemp model of instructional design. It also has elements of the 5E model too. Both are well suited for online courses. How did you learn to design instruction? A better question might be how do you learn to design effect instruction. The answer is by evaluating learning theory first and then reviewing various ID models and then evaluating delivery options. It is an iterative process that is controlled with feedback from the participant. There is always a lot of adjustments needed in the design process. These adjustments are important in order to create effective instruction. Does your process for designing instruction match your larger theoretical perspective? Based on the comment above, by starting with the theory first, you should be able to find good alignment between the theory and design. I have seen effective instruction based on this theory/design alignment. Where is it the same? The theory is a broad umbrella and can incorporate more than one design model. Using Kemp and 5E can be very compatible with social constructivist theory. They do not have to be in perfect agreement with the theory since he theory is not totally rigid either. Learning theory is not developed overnight. It is the progressive realization of a worth ideal. The ideal is to understand better “how we learn” and then apply this knowledge within a framework of best practices and methodologies. We live in a dynamic and ever changing world. The amount of information available is overwhelming to say the least. At times there is so much information that it becomes toxic and we suffered from INFOTOXOLOGY (thus the name of my blog website). Learning theory is not static either. Learning theory evolves and adapts to the real world. Over the ages we have seen remarkable innovations in how we acquire and act upon data. The technology has literally moved from stone tablets to paper to digital ink for document creation. The age of “digital” is quickly transforming into the “Internet of everything”, providing rich media content at the speed of light. As we evaluate the capability of technology we also need to evaluate our ability to learn and to find appropriate instructional designs and content delivery systems that optimize the learning process. Referring to the dictionary definition of learning ”measurable and relatively permanent change in behavior through experience, instruction or study” it is incumbent upon instructors to maintain the core elements of learning theory while at the same time expanding the learning process and various learning medium. There is no single theory of learning that can adequately support and address all the important aspects of learning and still be effective for instructional purposes. I start with examining my personal assumptions about learning and instruction. As a constructivist, I want to create new learning, which is built upon my current knowledge but expanded into new content. Online learning needs to have the elements of self directed, self-motivated and engaging exploration. There a many models to work from and they are not mutually exclusive. There is no perfect match between an established theory of learning and the instructional design process. There can not be a perfect match because both of those elements are dynamic and ever changing with improvements. As better technology becomes more prevalent, the tools and media elements can become more natural and the barriers of content delivery and access can become benign and totally transparent. Refer to the illustration below indicating the three pertinent elements of online learning. Over a period of time, the magnitude and relationship of these three elements should converge and become one. As one, they will still continue to evolve. Over my lifetime of learning, there has been significant variability just with the technology component. The epistemological problems that have taken place with advanced technology is the gradient of change for instructional design and improvements to the constructivist learning theory.